Cox Air Conditioning & Heating is your answer if you are looking for green HVAC systems that are not just environmentally friendly but are also durable. It is common knowledge that ecological sensitivity has heightened, which is why architects, engineers, designers and homeowners have become increasingly aware of the environmental impact of burning fossil fuels. In order to quantify the effects of power and fuel consumption, researchers have created a term called “carbon footprint,” which is a numerical representation of the amount of CO2 produced to support various human activities. 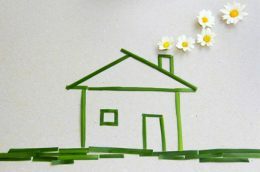 Reducing greenhouse gas emissions is more than just environmentally friendly, it’s also economically beneficial home and business. 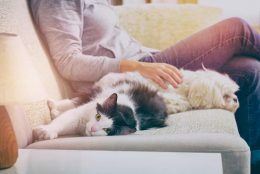 According to the U.S. Energy Information Agency, heating and cooling accounts for 48 percent of the energy used in a typical home. 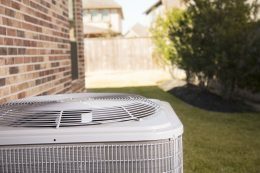 In fact, over eight percent of all the electricity generated in the U.S. is used for residential air conditioning at an annual cost of over 15 billion. 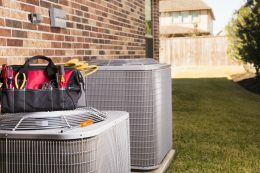 Residential fuel and power consumption can be significantly reduced by replacing older equipment and improving the efficiency of the HVAC system. At Cox Heating & Air Conditioning, we provide a variety of environmentally-friendly products and services designed to lower annual heating and cooling costs and reduce your home’s carbon footprint. The Carrier Corp. is the world’s leading producer of innovative heating, air conditioning, ventilating and refrigeration products. Throughout their 100 year history, Carrier has remained committed to manufacturing reliable, efficient and sustainable systems across all of their product lines. The Infinity Series for residential applications represents the pinnacle of Carrier’s design and engineering expertise. When installed as a complete system, Infinity Series components work together to create the ultimate in personal comfort. Temperature, air quality, fan speed, humidity and ventilation are integrated through a user-friendly central controller. Sophisticated sensors run complex algorithms to determine the right balance between temperature and humidity in order to meet the homeowner’s specific comfort preferences and also reduce energy use. The Infinity Series can be configured to accommodate up to eight separate zones, so every room can have its own individual temperature setting. Split System Air Conditioners: Infinity split system air conditioners are available in capacities ranging from 2-5 tons and efficiencies up to 21 SEER. Some models feature a two-stage compressor. Package Units: Carrier offers gas/electric, straight AC, heat pump and hybrid fuel package models in the Infinity Series. Model efficiencies are available up to 16 SEER, and capacities range from 2-5 tons. Gas Furnaces: Infinity gas furnaces are manufactured in capacities ranging from 60,000-120,000 BTUs and AFUE efficiency rating up to 98.5. Some models are equipped with a variable speed blower and modulating gas valve technology. Split System Heat Pumps: Infinity heat pump capacities range from 2-5 tons, and efficiencies are available up to 20.5 SEER. Cox Heating & Air Conditioning has been designated as a Factory Authorized Carrier dealer for Tampa, Clearwater, St. Petersburg and the surrounding areas. We encourage you to contact us to learn more about how a Carrier Infinity Series HVAC system can reduce your carbon footprint and lower monthly utility costs.